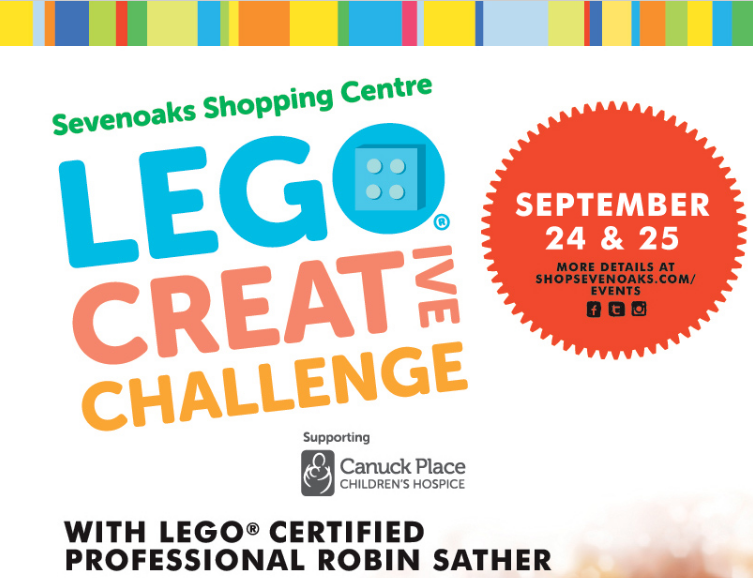 The Sevenoaks LEGO® Creative Challenge is a fun-filled community event in support of Canuck Place Children’s Hospice. Join us in Gap Court September 24 – 25, 2016. For a $10 registration fee, Kids can bring their own LEGO® build creation to enter to win! Winners each receive a $50 Gift Card. Click the website to download the Kid’s Build Registration Form.